In one of the first posts of this blog, I talked about my first trip to Wales, when I went to the North, visiting the national park of Snowdonia. I really enjoyed my time there so since then I had been looking forward to going back to Wales. Finally some weeks ago I visited Wales again. 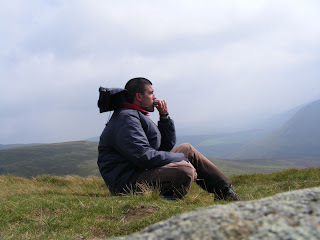 This time I went to see the South part to visit a range of mountains called the Black Mountains. Flying from Santander to London Stansted with Ryanair I arrived at Liverpool Street (Terravision coach) at night. After topping up my Oyster card in the automatic machine (pass the Oyster, click "pay as you go", then write the amount and then put the money) I took the Tube to the house of my friend Yvon. Then we took a bus and hang out in Brick Lane, a cool place in London with lots of alternative youth people and indian restaurants. Yvon and I stayed chatting in his garden until late at night. He moved to London some months ago to find a job as architect. 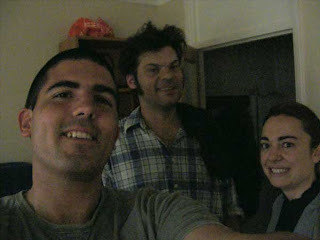 He also introduced me to his two flatmates. Miriam, a girl from Essex (she didn't want to say she was from Essex because of the famous joke) who studied psychology and now is working with mentally ill people. And Duca (from Matilde-Matilduca), the girl above, who came with her new friend Charlie. Although I had a couch for me I decided to sleep on my mat and sleeping bag as a training exercise for the next few days. 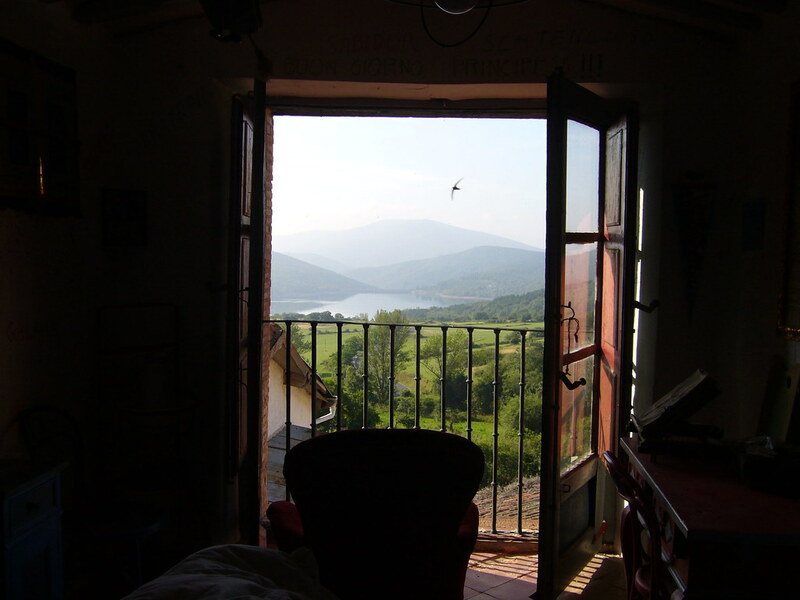 The next day Duca prepared a delicious fruit juice for breakfast (thank you!) and then she went to work (she is also architect). Then Miriam left out for Paris where she had to spend the weekend as part of her job. Finally Yvon woke up, we said our goodbyes and I took the Hammersmith line to Paddington where I had to take the train (First Western train) to Newport and from Newport to Abergavenny (Arriva train). I bought the train tickets from Spain through the national rail website and then went with my debit card and the reference number to obtain them in paper from an automatic machine at Paddington station. The train from Newport had 15 minutes of delay but apart from that I have never had complains about trains or coaches in the UK. 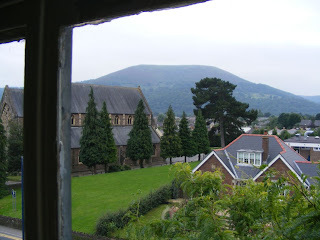 Abergavenny is a nice little town but without too many things to do. Quite boring I would say. However it becomes a perfect gate to explore the Black Mountains range. As I arrived there at 16:30 I just walked around the village, watching the old castle, the churches and of course, the beautiful British cottages and houses. I had booked two nights in the YHA hostel which was really good quality. It had everything I could ask for. I even had my own single bedroom!! This was the main day in my short trip to Wales and I enjoyed it a lot!. I got up early and had my breakfast in the hostel (it was included in the price!). 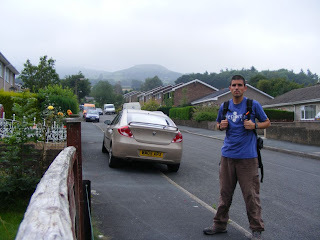 Then I had to wait for the next bus (9:30) to a nearby village (Crickhowell) where I would start my ambitious hiking route (Google Earth route to Waun Fach and peaks peaks_black_mountains.kmz). 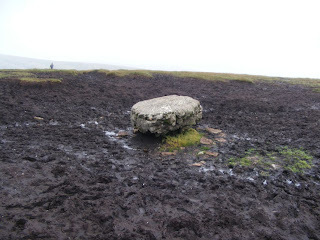 I wanted to go to the highest peak in the Black Mountains, Waun Fach, but before that I would have to pass by 5 peaks more being the first one, the popular Table Top. I used my GPS to take the right paths and it was very helpful. Especially because during the first part of the day the weather was very misty and it was very easy to get lost without it. I would come across with other hikers from time to time and I liked stopping and chatting for a minute with them. 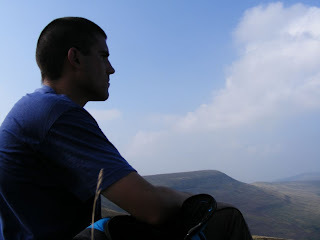 Thank god in the afternoon the sky became clear and i could admire some amazing views of the black mountains. On my last day in Wales I climbed a hill near Abergavenny which has a very particular shape. It is called the Sugar Loaf and it is a very popular hill among the local people. As I had to leave the hostel I took all my luggage with me (a big and a small bag). Soon after starting the route I realized that I couldn't make it with such a big weigh, especially because I had to be back at the train station by 14. So I decided to hide the big bag in a certain point, which I marked with my GPS, and carry on with the little one. The route was very pleasant and I enjoyed it a lot despite the fog which was hiding the beautiful views. After the hiking route I took the train Abergavenny->Newport and then Newport->Paddington. From Paddington I took the Tube to meet a friend and talk about our adventures. 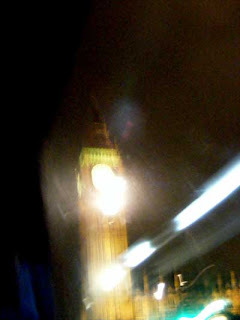 After that I took the underground to Victoria in order to catch the coach that would take me to Stansted airport. I almost missed it because the Victoria line was under construction and I had to run all the way from Green Park with all my luggage!! Finally I arrived at the airport at 0:50 and I slept there on my mat because the check-in for my next adventure was at 5:15 in the morning. Próxima parada: Poland! And come on, take off that "boy" to the friend..
Big kisses, We´ll follow you here! hey, thanks for your commnet!! I know, the pic is crap quality, sorry!! There is a space between boy and friend so I think it's ok :). 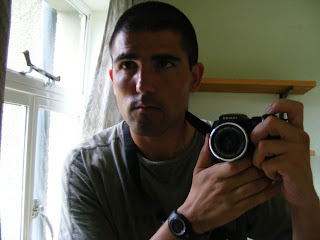 I will _spy_ your blog later! !